Harlow Printing Ltd has printed, stored and distributed the antenatal and newborn (ANNB) and young person and adult (YPA) screening publications for a number of years already. Now it's providing the same service for the breast, cervical and bowel cancer screening programmes. Clients can place orders for leaflets via the Harlow website, which has a dedicated page for screening publications. There is an order form for each screening programme, which lists all the publications available. Each item includes a link (if available) to a PDF of the document on GOV.UK, so you can check you are ordering the correct leaflet. Orders can also be placed by ringing 0191 496 9735 or emailing rebeccao@harlowprinting.co.uk. One of the major advantages offered by Harlow is the ability to set up standing orders for regular deliveries of items. 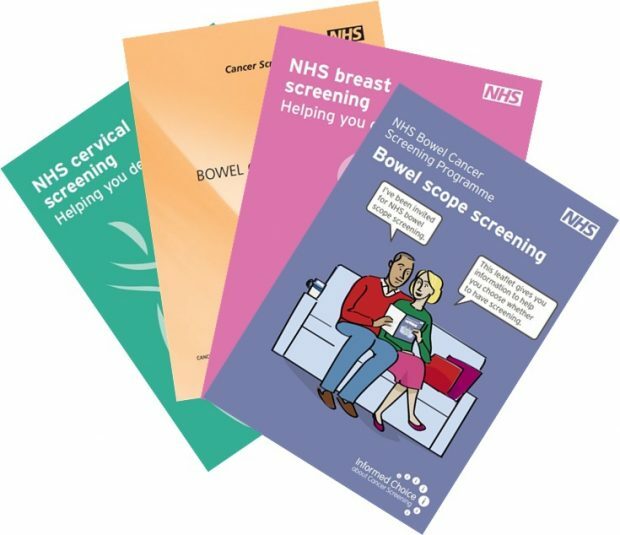 We expect this to be particularly useful for the companies that undertake mailings for screening services, bowel cancer screening programme hubs and screening services that need a steady supply of leaflets. We strongly encourage all clients to make use of this service. As well as helping you, it also means we can manage the reprinting and stock control of materials more effectively. Please remember not to stockpile leaflets, as you may be left with redundant stock if they need to be updated. We generally recommend ordering no more than a 3 to 4 month supply. Please also ensure that (non-standing) orders are placed in good time. You should allow 5 to 7 working days for items to be delivered. If you have any queries about your order, please use the contact number and email above.